What is TopPlace™ Map Layers? To leverage the full power of TopPlace™ several Plug & Play products have been made available via the TopPlace™ SaaS. 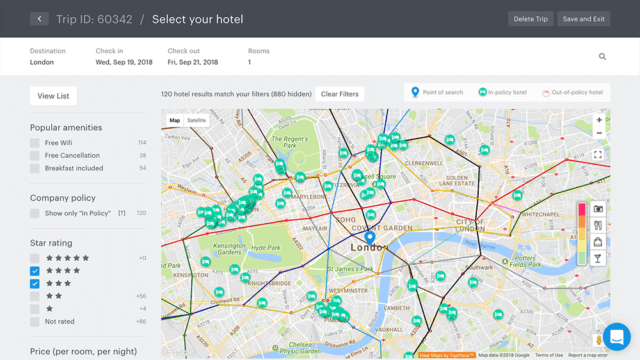 AVUXI’s TopPlace™ Map Layers is mainly tailored for OTAs (Online Travel Agencies) and hotel Metasearch sites and consists of several products. TopPlace™ Map Layers products help retain your visitors, increase conversions and increase the average booking value. What does TopPlace™ Map Layers include? 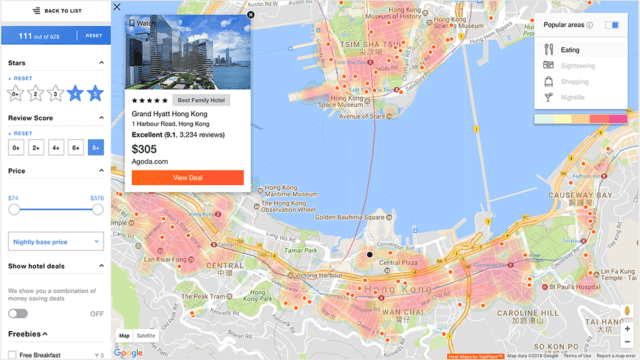 An easy to install map layer that accurately shows the most popular areas within any city, worldwide, in various categories, such as Eating, Sightseeing, Shopping, Nightlife, Parks & Waterfront, etc. In addition to the activity filters, the GeoPopularity Heat Maps reveals relevant points of interest (POIs) in every city on Earth. The POIs are organized according to the same categories as the filters: Eating, Shopping, Nightlife and Sightseeing. The locations of the POIs appear on the map view along with a brief description and a score. The inclusion of the points of interest allows Heat Maps users to gain a more detailed understanding of what each city has to offer. 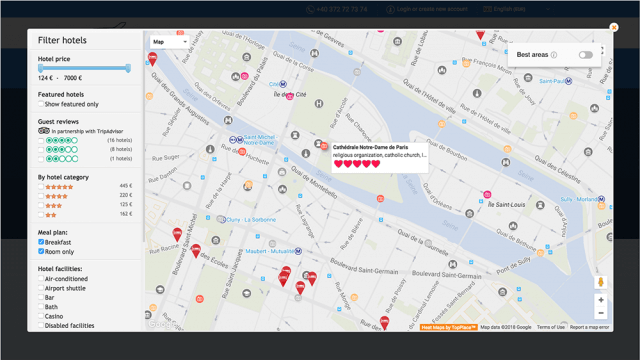 Only POIs with the highest popularity scores are displayed in order to show the most interesting places in each city and avoid over-saturating users with information. “City center” is never just a single dot on a map, it is an area (in some cities more than one) that has a different size and shape in every city. Writing “0,3 km to city center” can be misleading when a hotel is already located within the city center area. A city may have many green areas, but which ones are thriving with social activity? There may be a beach along a city’s coastline, but which segments of the beach are really popular and lively? Where is the city’s High Street area? Top Areas provides the answers in an instant snapshot for 30 major cities worldwide (more coming soon). It allows travelers to gain an instant understanding of a city without long hours of tedious research. Top Areas are part of the TopPlace™ platform and are meant to highlight the most relevant city areas and neighborhoods according to their actual social profile instead of an official district division. Public Transport is part of the TopPlace™ platform and it allows OTAs and Metasearch sites to add a Transport layer for major destination cities, directly on their maps. The Public Transport layers facilitate the end users to see the subway commute options to their desired location without leaving the booking site.